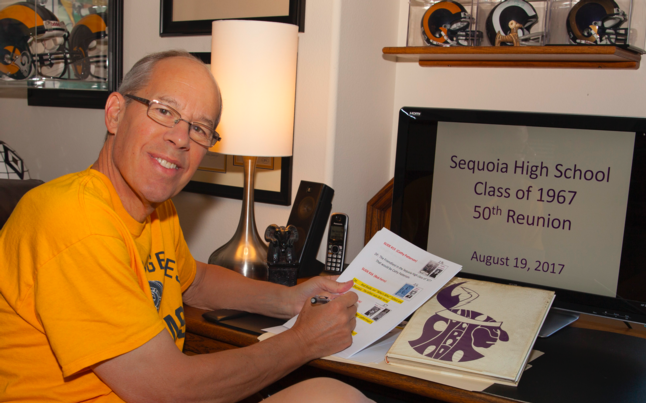 Script Writer, Don Franco, at work preparing to MC the dinner show at the reunion. 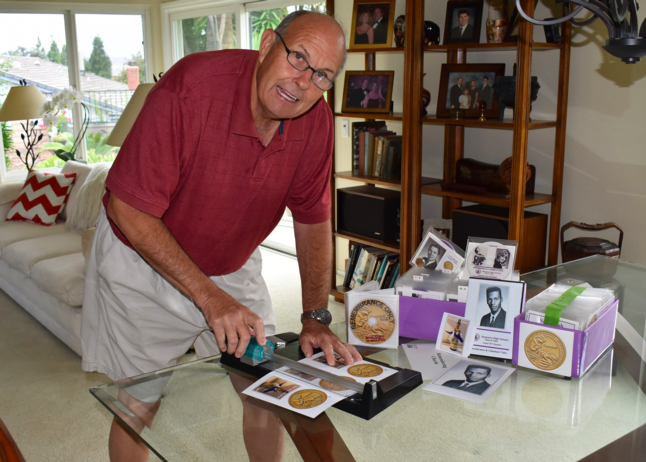 Bill Larsen at his Southern California home preparing the DVD's and coins for classmates! 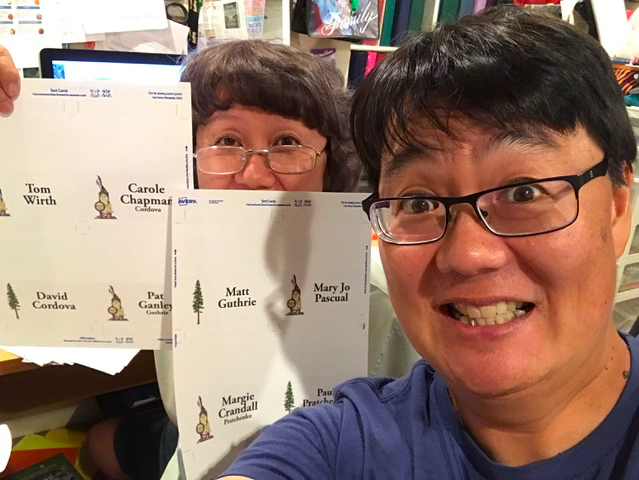 Eileen (Uyeda) Kanemoto and her son, Ansel, working on table tents for the dining tables for the Hiller dinner party! 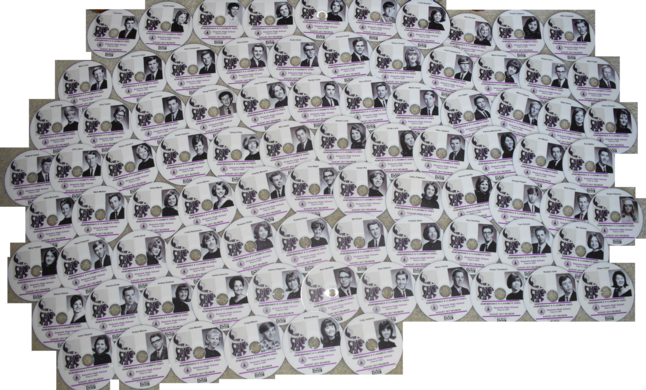 They also created the postcard and the nametags! 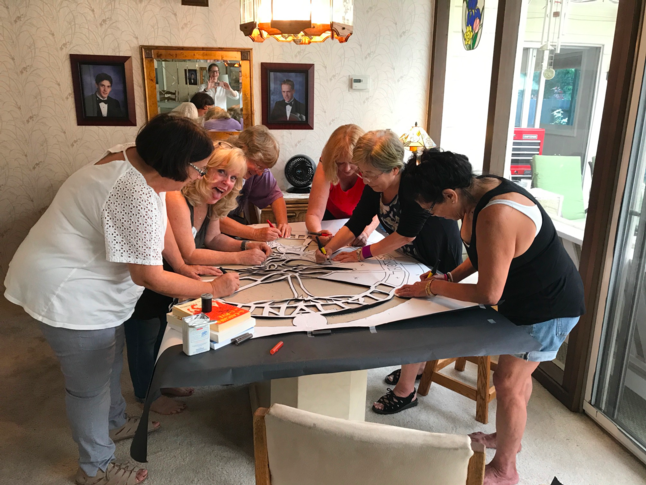 They are working away in Anderson, CA.to get ready for the reunion. 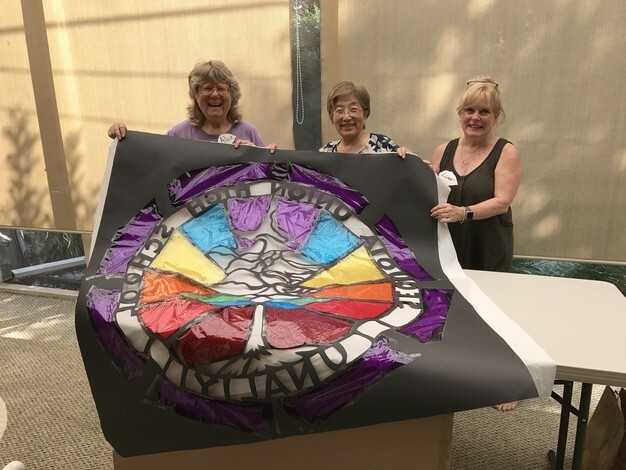 Alene (McCarthy) Karthas, Yoshiko (Saito) Hirano, and Alice (Frahm) Masek putting in the cellophane to color the school seal. 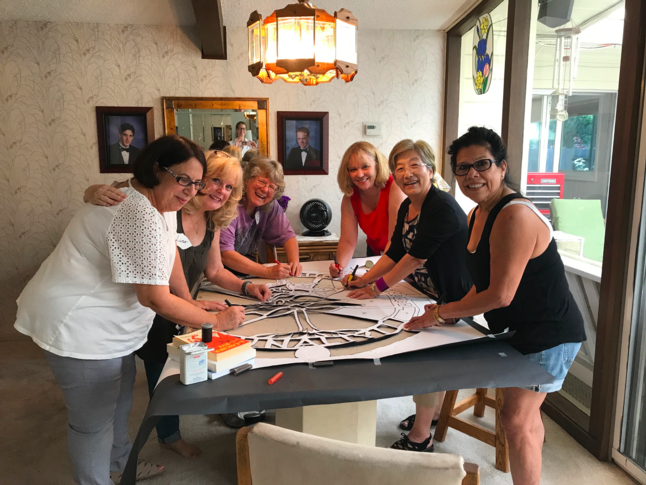 Maria (Fernandez) Messina, Linda (Quirk) Hayward, Alice (Frahm) Masek, Carrol Moran, Yoshiko (Saito) Hirano, Madeline (Josie Vasquez) Ibrahim at Linda's house cutting out the school seal under artist, Alice's, direction. 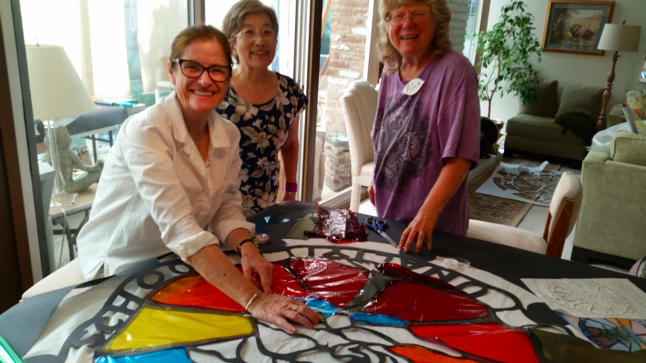 Alice drew the design and led us all in the cutting process. It was a lot more work than we had imagined. 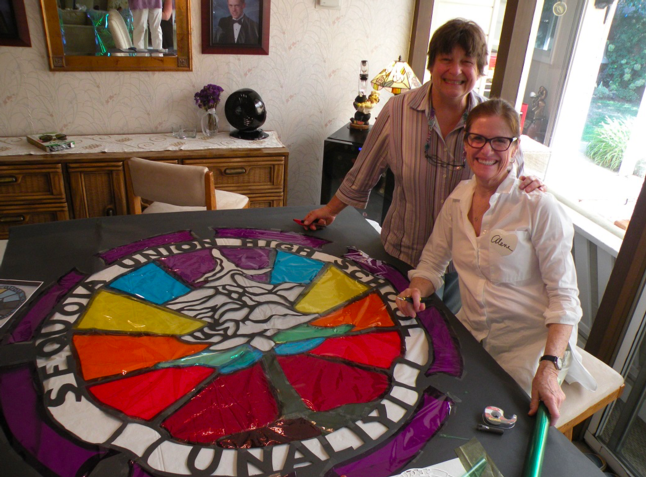 We added colored cellophane ( often in a couple of layers to get the right shade) to various parts of the seal. We made two of these. 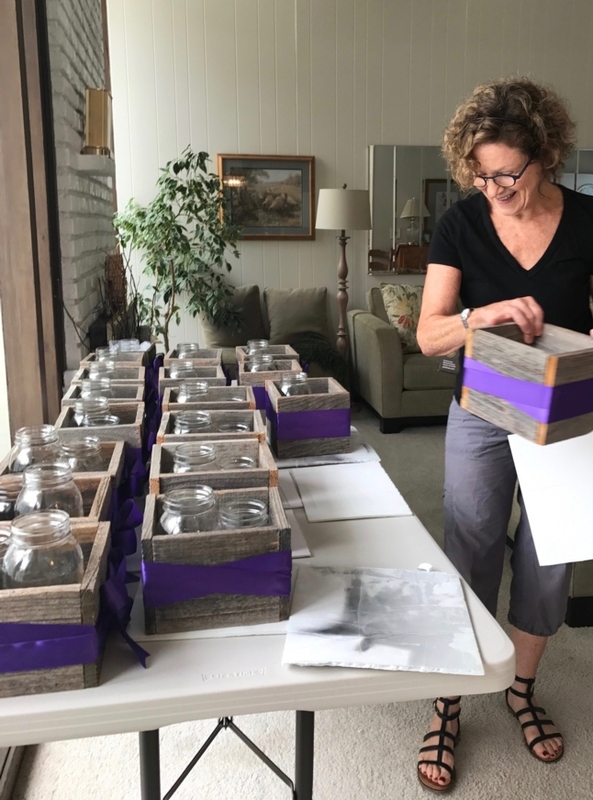 We did not have time to finish them so Alice is going to take them home and finish them and bring the finished project to the picnic and the dinner on Saturday. It is going to look so cool! Alice is a really talented paper cutting artist. 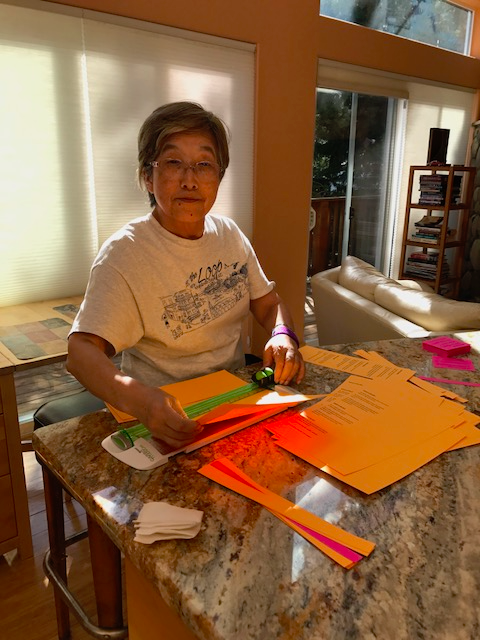 Yoshiko at Carrol's Tahoe cabin cutting up Trivia cards for the table game at the reunion. Eileen creates the initial post card to go out to 200 classmates. This was followed by three more mailings to hundreds of classmates, many were contacted several times. 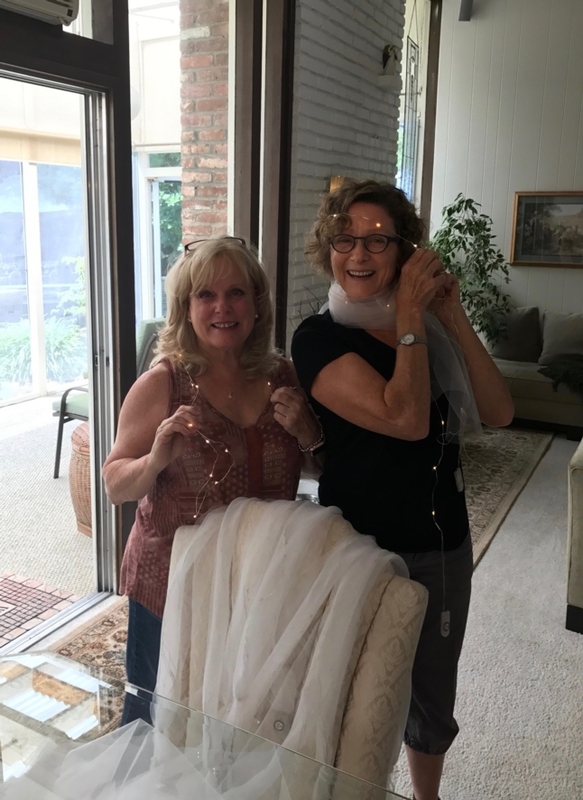 Bev (Schutz) Morgan warming up her vocals to get ready to sing at the picnic on Saturday with the Sequoia Treble Clef. Linda Quirk Hayward with loads of Redwood cuttings for decorations. 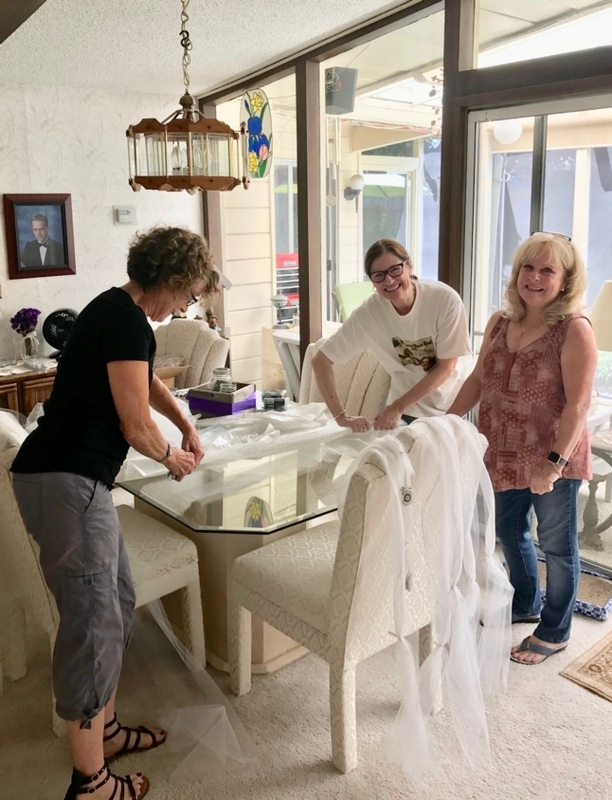 Linda and Judith Flaherty working on decorations. Judith was a lifesaver, helping with hours of assembly. 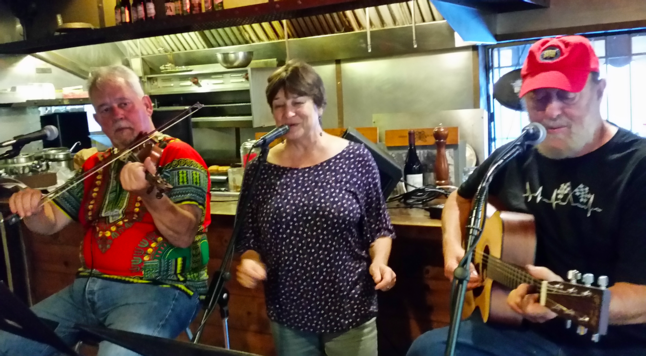 Alene McCarthy Karthas joined in for awhile. There is time for fun, too!